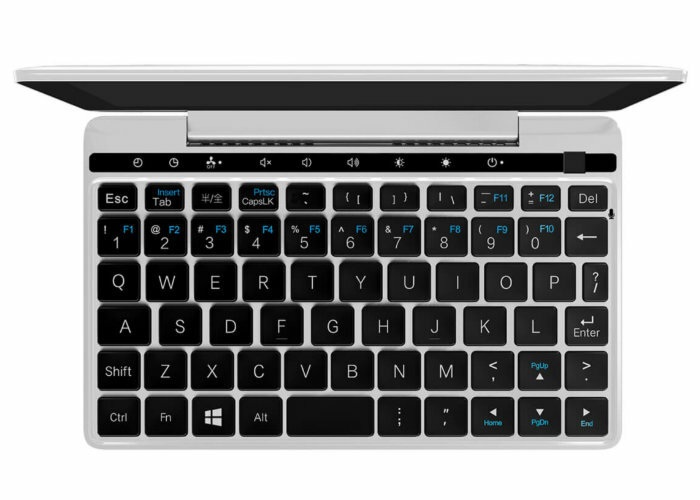 GPD has this week unveiled the new designs for its upcoming GPD Pocket 2 mini laptop providing a first look at what you can expect from the new optical mouse sensor which has been added to the top right corner of the keyboard, pictured below. The redesign took place after potential backers and customers were not so keen on using the touchscreen for mouse and cursor input. GPD has now listened to feedback and delayed the project slightly to redesign the keyboard to incorporate the optical touch sensor to provide users with more accurate precision while controlling the cursor. To recap the specifications of the Pocket 2 mini laptop having change and still include a 7 inch touchscreen display offering users a resolution of 1920 x 1200 pixels. Powered by an Intel Core M3-7Y30 processor supported by 4GB or 8GB of LPDDR3 RAM and equipped with 128GB of eMMC 5.0 storage. Ports on the Pocket 2 mini laptop include 2 USB 3.0 Type-A ports, headphone jack and single USB Type-C port which can be used for data transfer, charging or video output. The system is also equipped with connectivity via dual band Wi-Fi and is fitted with a rechargeable 6,800 mAh battery. More information jump over to the official GPD website by following the link below.